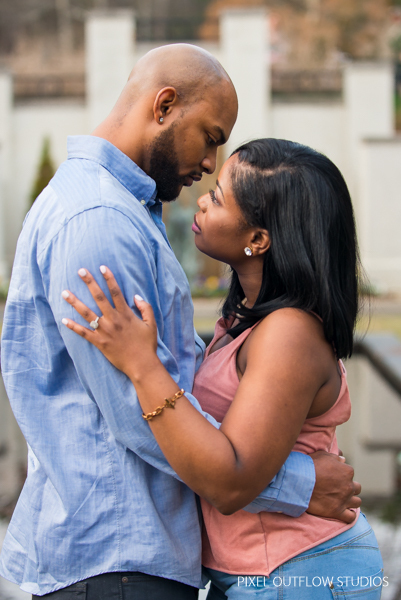 I must say this engagement session was extraordinary. Christen wanted to use the Grand Bohemian Hotel in Mountain Brook, Alabama for her engagement pictures. I'll admit I was nervous because this was my first time shooting there and I wasn't sure if they were going to allow us to use the hotel. I talked with the manager and he was pretty cool about it! The Grand Bohemian was an excellent choice. It's one of the most beautiful hotels in Birmingham, Alabama. I love the story of how Christen and Lyndain first met. I won't tell it here but just know it's quite interesting! They have a beautiful family and I'm so happy they chose me to be a part of this next chapter in their lives.